For the well-travelled, curious, or cliche-weary vacationers, we present our selection of out-of-the-ordinary lodgings in Mexico. As usual, each one has been tried and tested by our research teams, then firmly placed in the “unforgettable” category. Bring your camera, the views are amazing! Experience colonial Mexico in a totally different way at the cleverly cool Rosas y Xocolate hotel on Paseo de Montejo, Merida’s equivalent of the Champs Elysees. This vivid pink mansion house is delightfully out of place amidst the stone fronted palaces, and stepping inside reveals even more treasures. One courtyard houses the sleek lap pool, another has vertical sculptures and tables overspilling from the gourmet restaurant, whilst “moon lounge” cocktail bar is on the rooftop above. There’s an artisan chocolate store in-house, a specialist tequila bar, and an exotic spa featuring cacao-infused treatments. Guest rooms include the decadent Rosas y Xocalate suite, with a large terrace facing Paseo Montejo and delicately beautiful tiled floor. All rooms have flat screen TV with integrated Bose sound and video system and an expreso machine. Good to know: Children are accepted, but this is really an adult retreat, heady with romance, indulgence and, of course, chocolate. 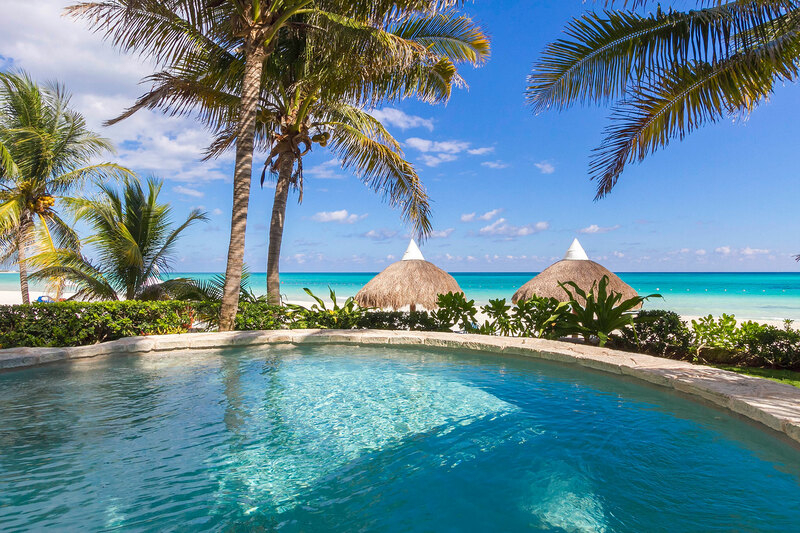 Kin Sol Soleil (formerly called Villa Angela) is a secret gem located on the best part of beautiful Maroma beach, voted one of the top ten beaches in the world by the Travel Channel. It consists of just three One bedroom suites and two Two bedroom suites, all of which are beachfront and enjoy spectacular views. There are lots of luxurious suites in this region, but fabulous two bedroom units are few and far between. If you’ve considered renting a private house, it’s worth looking at the Xuxu or Mariposa suites at Kin Sol Soleil. Each has two equally spacious and elegant bedrooms with ensuite bathrooms, and a large living room. What makes them extra special is that Xuxu has a gorgeous beachfront swimming pool, and Mariposa has a romantic rooftop terrace with a plunge pool and far reaching Caribbean views. Good to know:The suites don’t have full kitchens, but Kin Sol Soleil has an amazingly good beachfront restaurant, and breakfast is included in the rates here. As a small property, Kin Sol Soleil has limited hotel facilities but has concierge service and on-site management. Mexico’s pristine Costalegre has several luxurious hideaways, but Cuixmala is unique and unforgettable. Many guests call it “heaven on earth”. 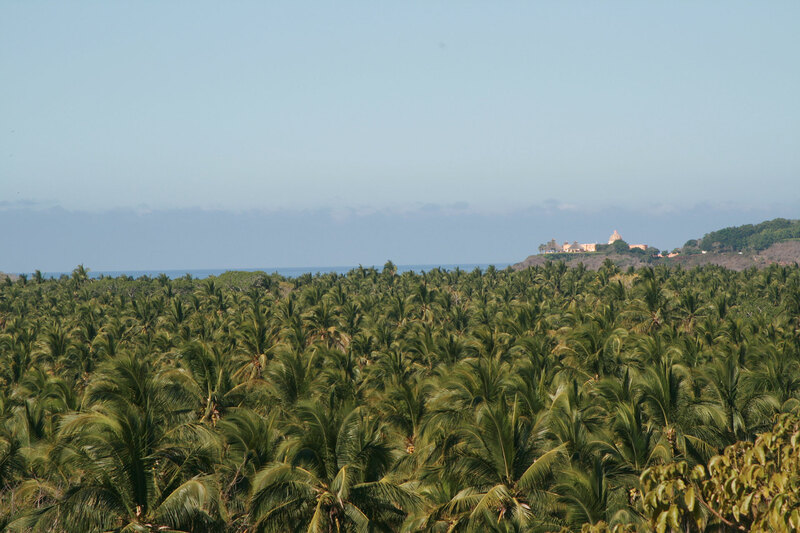 Here you can immerse yourself in the natural beauty of the 25,000 acre estate and coconut plantation, maybe spotting wild boar, gazelle or even zebra as you explore. There are breathtakingly beautiful beaches that you can enjoy all to yourselves, trails that are perfect for horseback riding, tennis courts and even a soccer pitch. This is a property that is heaven sent for families looking for soft adventure and exquisite surroundings. Kids of all ages love the vast open spaces and the nature tours, the beaches and activities. Organic produce, sourced from the estate, is used in the gourmet but casual restaurant that’s located by the main pool. The accommodations include one to three bedroom casitas close to the pool, and lavish, fully-staffed villas scattered around the estate. Good to know:The estate is huge, so car rental is necessary even to get to the beach. If you don’t have the budget for a villa, check out the surprisingly affordable casitas. Sometimes the best things come in small packages, and all-inclusive properties are no exception. 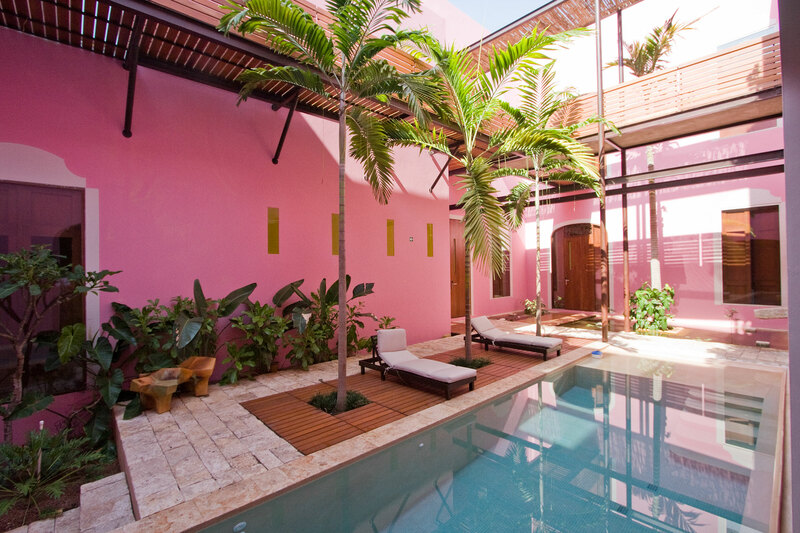 Casa de Mita is the unusual combination of a boutique hotel with an all-inclusive plan. Stay here and you’ll feel like a privileged house guest in a beachfront villa. It’s stress-free, relaxing, and upscale. The attractions of Punta Mita are close by (world class golf, diving, whale watching and surfing) and a pretty beach is right on your doorstep. Casa de Mita is an adults only property, and most rooms have a king bed. The architect owner has exquiste taste, and each room has elegant furnishings and huge bathrooms with walk-in showers. The suites are amazing and would be our first choice if available, but we’d be happy with any of the rooms. Good to know: Complimentary deluxe transfers are available for stays of 5 nights or more and are recommended as the hotel is not easy to find. Car rental is recommended for sightseeing and vehicles can be delivered to the property. Baja Camp is unlike any other property in Mexico, and it’s a real treat for the senses. You’ll sleep under canvas and a star-filled sky on an otherwise uninhabited island. 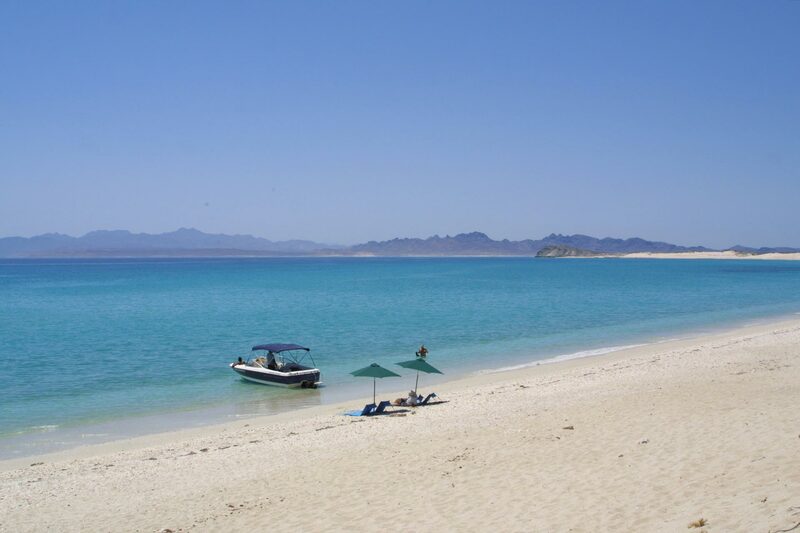 In the morning, the transparent waters of the Sea of Cortez are just a few paces from your bed. Included in your package are several excursions by motor boat, perhaps to snorkel with a colony of sea lions, or to spend the day on your own private beach. Kayaks are available to explore the shallow and crystal clear bays that are teaming with colorful fish, and the diving is spectacular. Every day ends in style with a magnicent dinner prepared by the Italian owner. Guests enjoy the finest ingredients, imported from Italy, and the freshest fish, often caught on the day. Excellent wine and delicious cocktails accompany the banquet, which is served by candlelight in the main tent. Good to know:The camp is open only from May or June to September each year. Accommodations are basic, but include king size beds, with a flushing toilet and solar powered shower just outside your tent. A night or two at this fascinating little inn will transform a mundane beach vacation into a adventure to remember. Whilst your friends are sweating it out on the coast, you can enjoy an exhilerating drive up into the mountains to the old mining town of San Sebastian del Oeste, where the Hacienda Jalisco has easily the most desirable accommodations. It’s possible to take a day tour to San Sebastian, but how much better to take your time and enjoy the scenery, relax with an evening meal by candlelight, and fall to sleep to the crackle of a log fire. 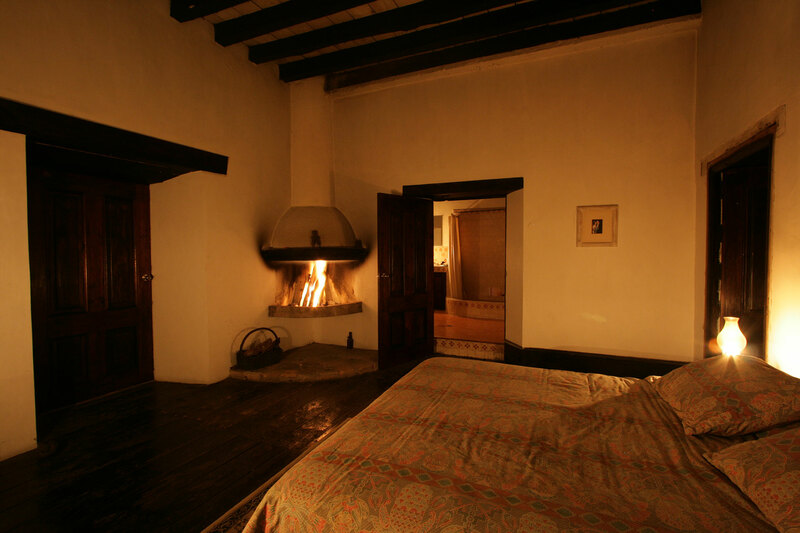 The hacienda has no electricity, so guests can enjoy it in the same way as illustrious former guests such as Richard Burton and Elizabeth Taylor did many years ago. Good to know:The hacienda is approximately 2 hours drive from Puerto Vallarta. Advance reservations are necessary. Don’t miss the museum displaying records from the early days of the mining industry here, and memorabilia from Puerto Vallarta’s heyday. 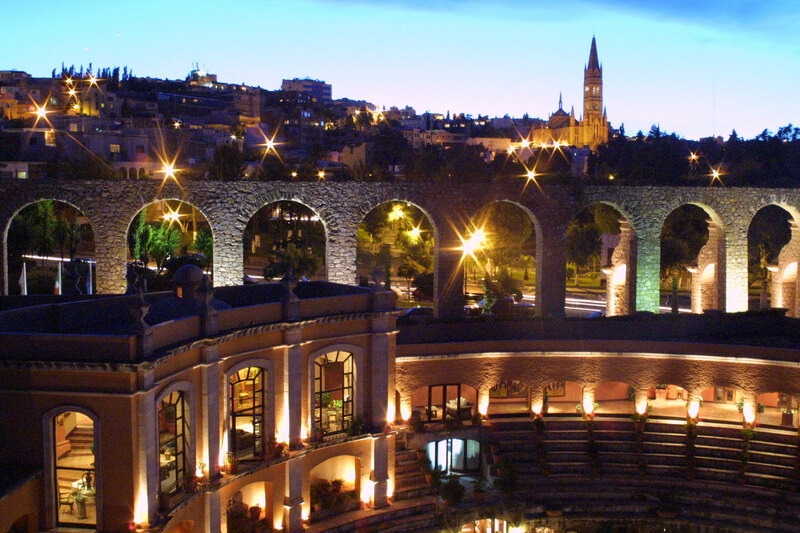 This architecturally stunning hotels is located in one of our favorite colonial cities, Zacatecas. The city has much to offer in the way of sightseeing, including fine museums, a dramatic cable car ride, and a tour around an old silver mine. Staying in this impressive hotel will turn a sightseeing trip into a memorable vacation. We recommend staying at least 3 nights in order to see the highlights and to enjoy strolling around the historic center. We love the fine dining restaurant and especially the cozy bar that is housed in the old bull corrals. For the best view, book the lavish three bedroom Presidential Suite with balconies overlooking the bull ring. Good to know:Most rooms have views over attractive courtyards rather than the bull ring or aqueduct. Don’t miss the Rafael Coronel Museum that showcases thousands of traditional Mexican masks.